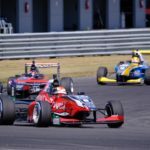 Liam Lawson is the 2019 New Zealand Grand Prix winner and the Castrol Toyota Racing Series champion after a dramatic finale at Manfeild Circuit Chris Amon this afternoon in the Manawatu. 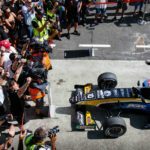 In a race peppered by Safety Cars, race stoppages and penalties, Lawson emerged through it all to take both prizes. A devastated Marcus Armstrong was given a five second..
Marcus Armstrong put in a polished performance to win the first race of the final weekend of the Castrol Toyota Racing Series, beating series leader Liam Lawson into second place and reducing his compatriot's lead to one point with just two races - including the 64th New Zealand Grand Prix - to go. Lawson now has 309 points to Armstrong’s.. 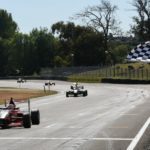 The close fight for the 2019 Castrol Toyota Racing Series carried on in qualifying with series leader Liam Lawson setting a stunning pole position time to edge out title rival Marcus Armstrong by just under a quarter of a second. 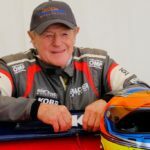 Lawson and Armstrong traded fastest times throughout the fifteen minute session before Lawson fired in two huge laps to..
New Zealand racing legend Kenny Smith will make his 48th New Zealand Grand Prix start this coming weekend at Manfeild Circuit Chris Amon. 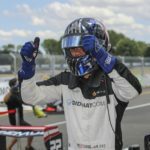 Smith - 77 - will join the field of sixteen up and coming single seater racers that include his latest protégé, championship leader Liam Lawson. The speedy septuagenarian will drive a Toyota FT50 identical to the other.. 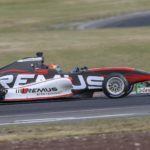 In a weekend when the Toyota Racing Series lead see-sawed back and forth between two of the fastest New Zealand drivers to ever contest the series, Liam Lawson wrested back the points lead and Marcus Armstrong put his name on the Denny Hulme Memorial Cup. 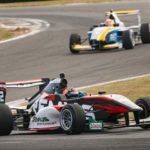 The fourth round of the 2019 Castrol Toyota Racing Series comprised three qualifying sessions and..
Marcus Armstrong ended a challenging weekend with a dominant performance in the Denny Hulme Memorial Trophy race in Taupo on Sunday afternoon, narrowing the gap to series leader Liam Lawson to just five points with it all to play for at the 64th New Zealand Grand Prix next weekend. 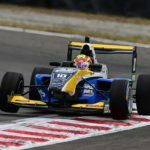 After qualifying second, Armstrong made a perfect start to out drag..
Belgium's Esteban Muth took a fine victory on Sunday morning at Taupo, resisting immense pressure from New Zealander Brendon Leitch and series leader Liam Lawson to take a well-deserved first victory in the 2019 Castrol Toyota Racing Series. 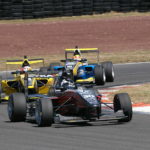 With the grid based on the finishing order from the Saturday afternoon race and the top six finishers from that starting in..
Lucas Auer has maintained the form he showed in winning Saturday’s second race at Taupo by claiming pole position for the big feature race of the fourth weekend of the Castrol Toyota Racing Series – the Denny Hulme Memorial Trophy. 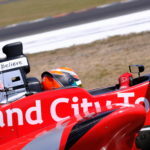 The four TRS teams sent their cars out earlier than in previous qualifying sessions, with around 11 minutes of the..
Austrian Lucas Auer grabbed his first win in the 2019 Castrol Toyota Racing Series, fighting off Liam Lawson for the win as championship leader Marcus Armstrong suffered a suspension failure which left him five laps behind and out of the points. The latest twist in an intriguing championship in New Zealand saw Lawson grab back the championship lead, by just..